behold! one of my favorite phrases has come to life! There are no words in the English language to describe just how hideous that looks. If that thing was a horse, I'd shoot it. How many paint fumes was that designer sniffing?!?!?!?!?!?!?? It made the PT cruiser look better. What in the unholy f**k.
Actually, now that I look at it. . . . .
Can someone photo shop the TJ hood such that it is continuous instead of being "blended" with the pt cruiser hood? 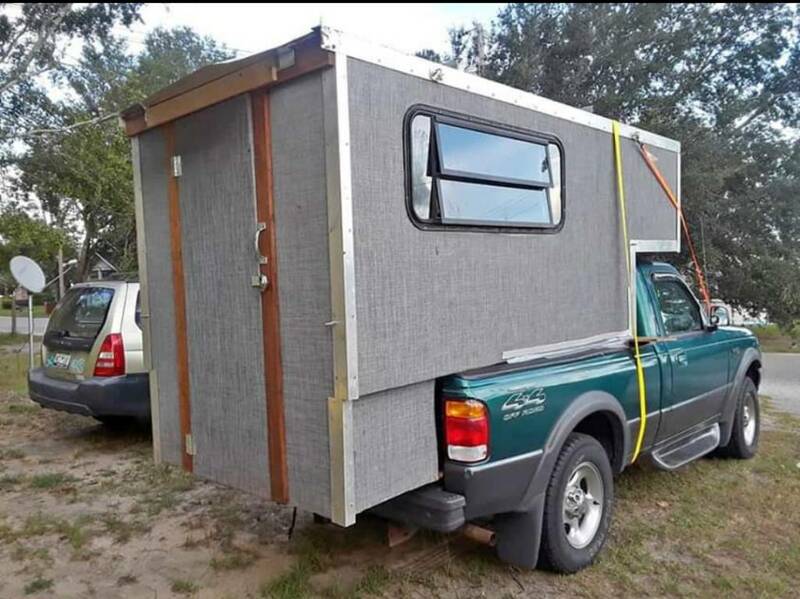 This belongs at Wasteland Weekend! 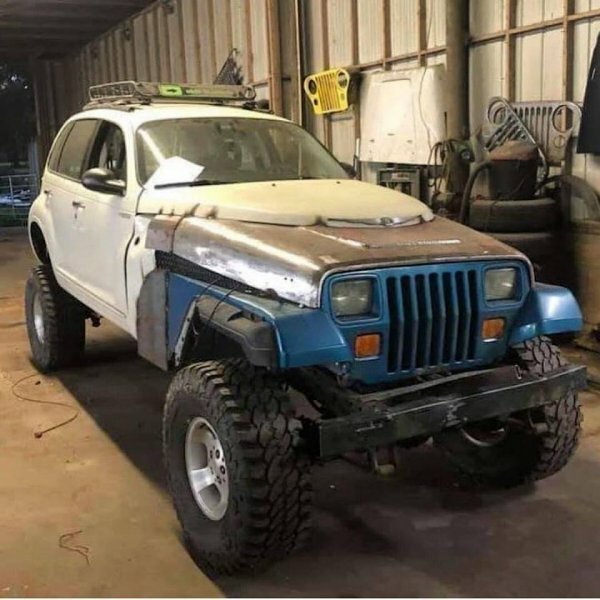 Once it's painted all one color, it'll just look like a Wrangler hood with a power blister. 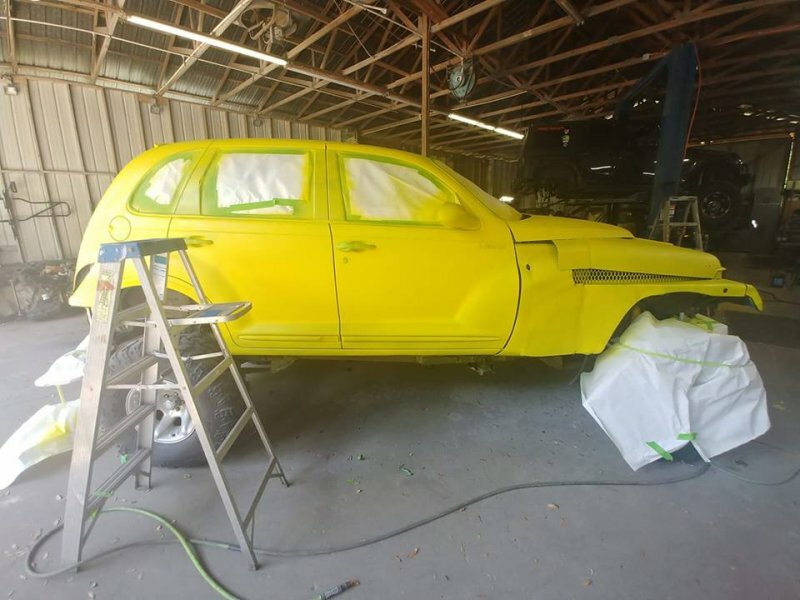 It looks like some sort of bad Pacman game and the PT Cruiser is swallowing the Jeep. That is a whole other kinda special! No BS, it's for sale! I want to punch my computer every time this thread comes back to the top. 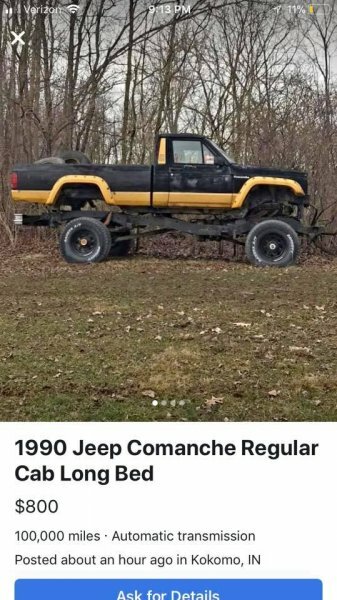 That's a perfectly good YJ frame they ruined. 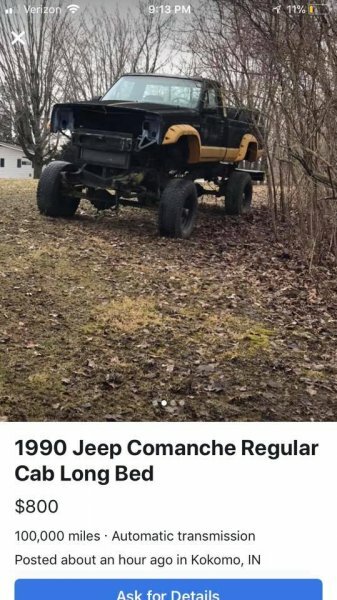 is there even a YJ frame under there? that's a heck of a lot of wheelbase. 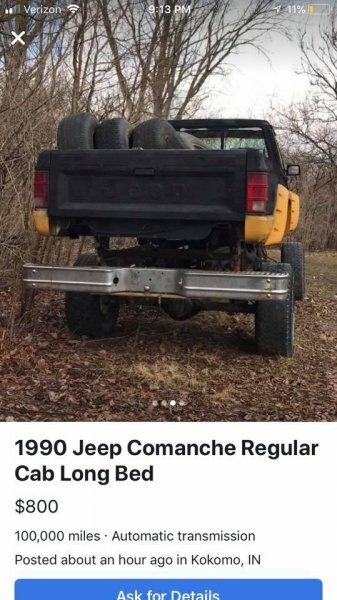 That's definitely a YJ frame. 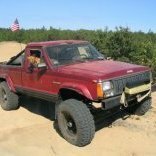 Axles look stock width, likely a D30/D35 combo. Tires look to be 12.5" wide, so overall track width looks stock with that size tire. With full size axles those tires would be mostly outside the fenders. 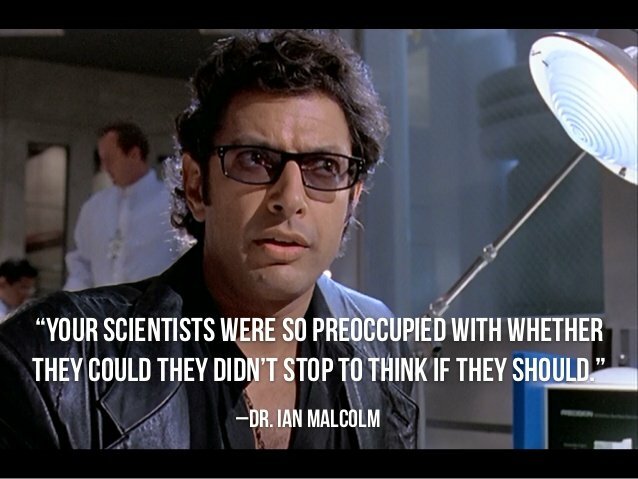 Dr. Frankenstein called. He wants his car back. This work of art was at the Florida gambler 500. Several videos of it. Will try to add links. Its official name is 'peep' I imagine like those horrible marshmallow peeps.